UFC 237 in Brazil just took a major hit. 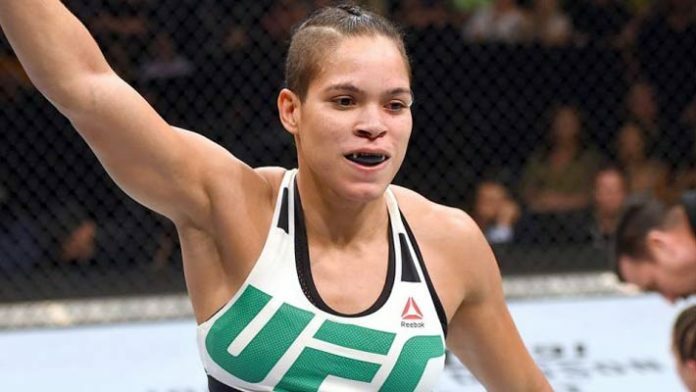 Rumors had swirled for weeks that one of the marquee fights on the card would feature two-division UFC champion Amanda Nunes defending her bantamweight title against Holly Holm. Now it appears that fight is no longer on the table after Nunes announced that she wouldn’t be fighting anybody at UFC 237 while also adding that she may not return to action until the latter part of 2019. Nunes last competed this past December when she blitzed Cris Cyborg in a champion versus champion fight to win the featherweight title. Prior to that, Nunes dismantled Raquel Pennington to defend her bantamweight championship last May. It appeared a fight with Holm was on the horizon after she dropped out of a planned bout against Aspen Ladd at UFC 235 but now it appears the potential fight against Nunes has been delayed until further notice. Nunes added that her time in the sport may be dwindling as she prepares to start a family with her longtime girlfriend and fellow UFC fighter Nina Ansaroff. “I want to defend my [bantamweight] belt first because when I moved up I left the division stalled,” Nunes stated. “I think it makes sense that the next fight is against Holly Holm, the only ex-champion I haven’t faced. After, I think it would be cool to rematch Cyborg. And then I’ll stop. With Nunes falling off the card, UFC 237 is also reportedly relocating from Curitiba to Rio de Janeiro on May 11 but there is still no word on additional fights being added in replace the bantamweight title bout. A strawweight championship fight between champion Rose Namajunas and top ranked contender Jessica Andrade is already scheduled for the show.